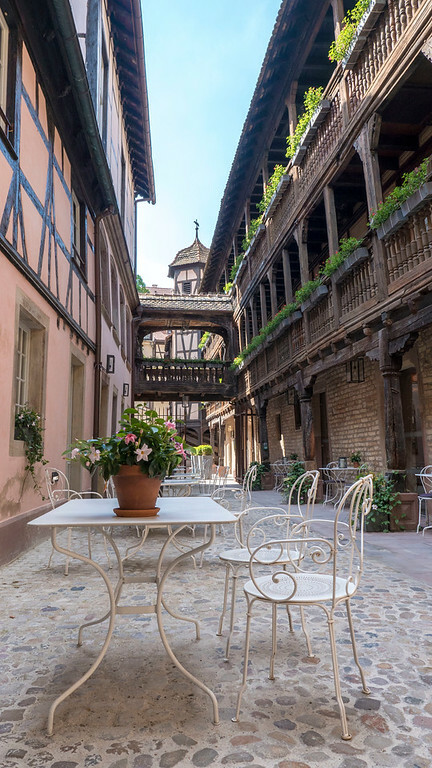 Feel like you stepped inside a fairy tale at Hotel Cour du Corbeau. Our travel day between Frankfurt and Strasbourg wasn’t as easy as we anticipated. Our train from Frankfurt was delayed by about an hour, which meant that we missed our pre-booked connecting train. That meant taking two more trains with our suitcases in tow before reaching the quaint town of Strasbourg, France. 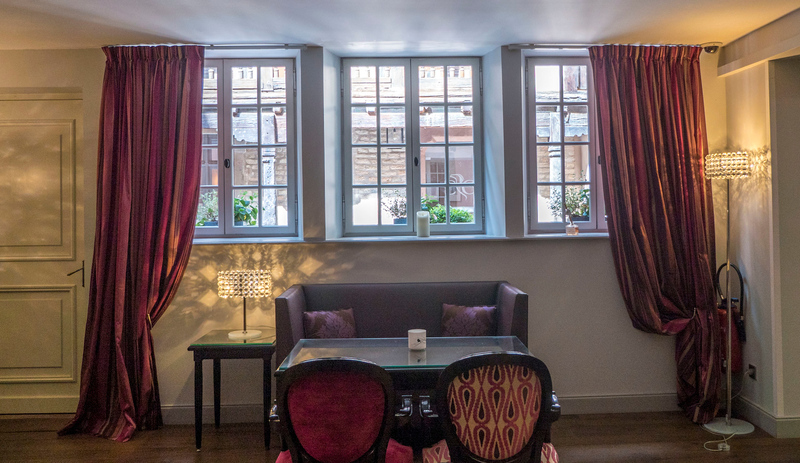 As we caught our first glimpses of the MGallery Cour du Corbeau hotel, I felt my stress melt away. Justin and I were greeted immediately at the front reception desk by friendly and kind staff members that made us feel right at home. With great pride, a hotel attendant showed us right to our room and gave us a small tour. 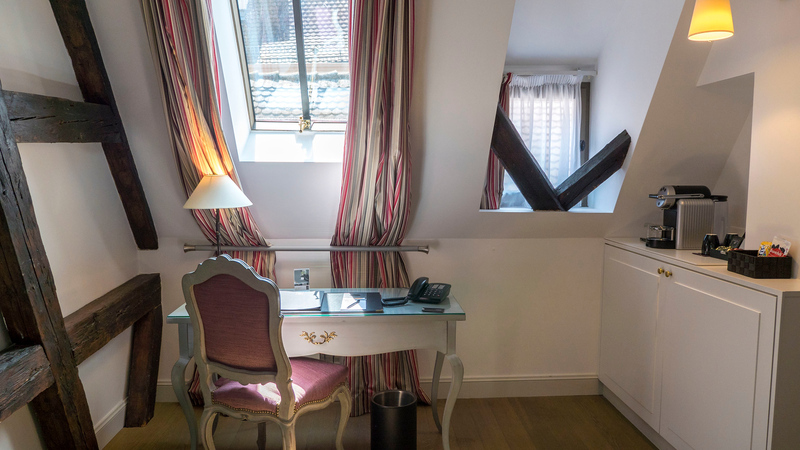 The spacious suite incorporated modern design with old world charm. 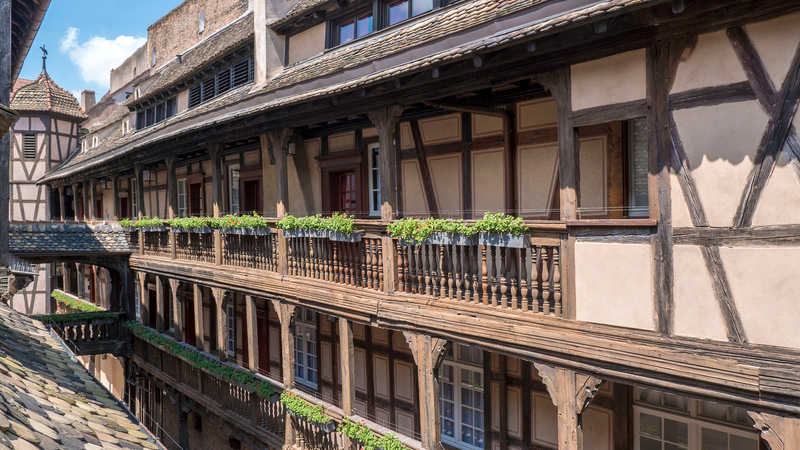 In fact, the Cour du Corbeau is a stunning example of Renaissance architecture and it’s one of the oldest hotels in Europe. 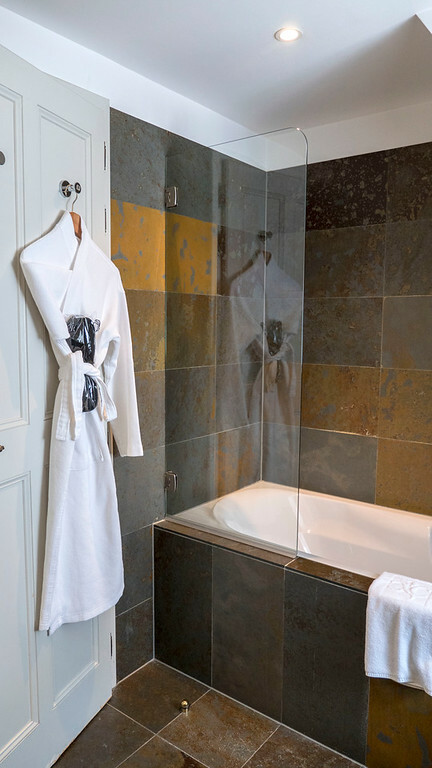 Our luxurious Junior Suite was roomy and bright, combining classic and contemporary styles. 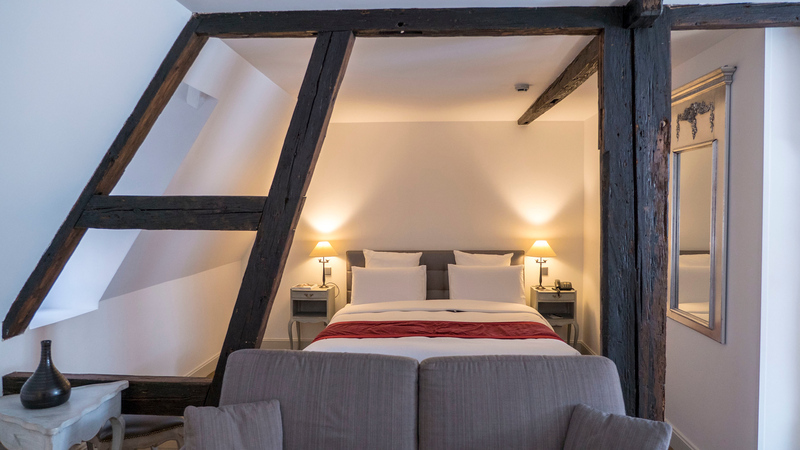 The half-timbered framing from the building’s exterior carried right into our room. Exposed wooden beams marked the corridor to the bedroom where we enjoyed a restful night’s sleep. Just across the room, there was a living space with a couch, coffee table, and a TV. Ideal for both couples and families, the sofa bed offers a secondary sleeping area. The attic windows of this 16th century building allowed a lot of light to filter into the suite. Strategically placed beneath the windows, a chic desk and chair provided an ideal workspace. Of course, the hotel also offered complimentary Wi-Fi to all guests. 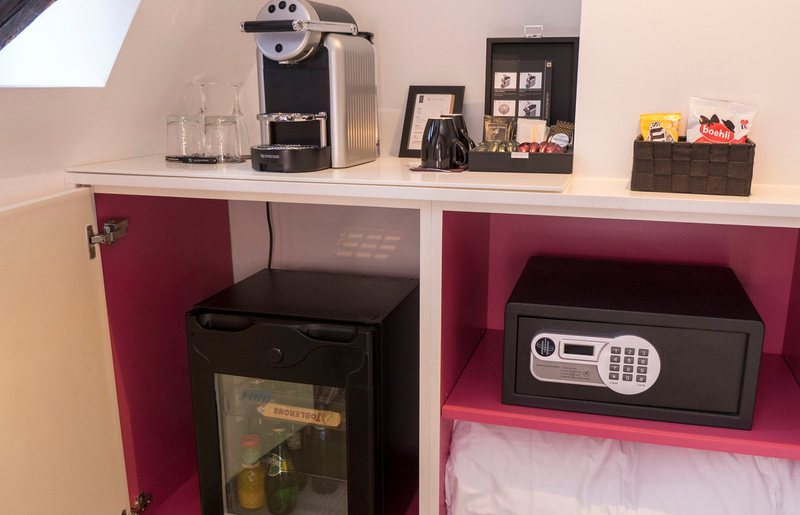 To the right of the desk, a Nespresso coffee maker sat atop a small countertop. 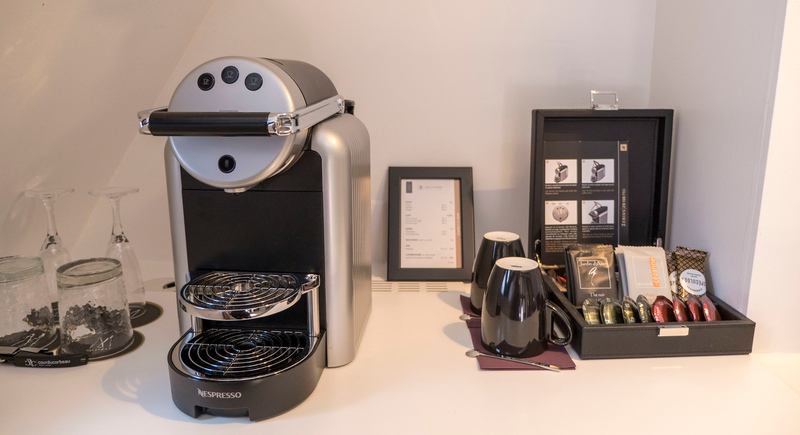 I’m a huge fan of hotel rooms with fantastic coffee makers, and it was a delight to wake up to a rich brewed coffee each morning. In the cupboards, there was a mini fridge and a safe. 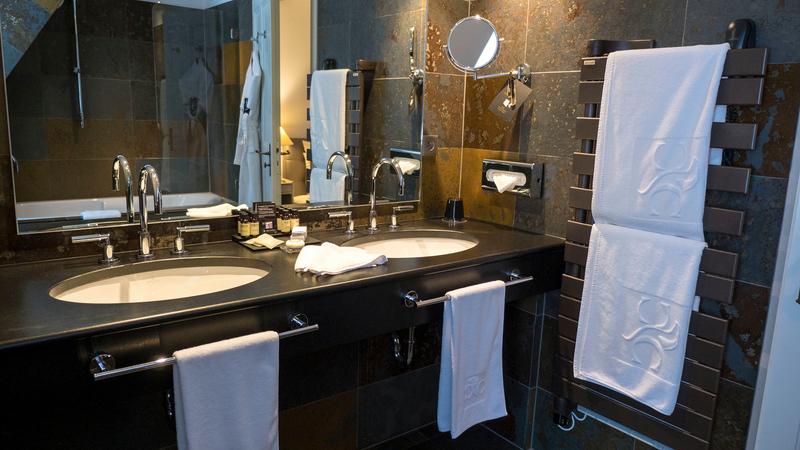 One of the most elegant aspects of the suite was the bathroom. 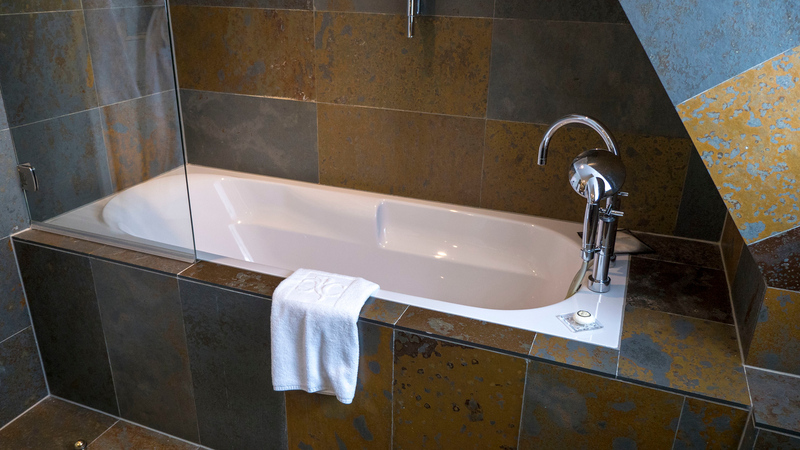 First, the toilet was in a separate room away from the bathtub and sinks. The bathroom itself was massive; there were two sinks, a large bathtub/shower, a heated towel rail, and a magnifying mirror. Plush bathrobes and slippers were also at our disposal. The best surprise of all was the view from our suite’s window overlooking the inner courtyard. I pulled back the curtains and opened the little window near the bed. Poking my head outside, the historic half-timbered structure and flowers lining every space of the balconies was so captivating. 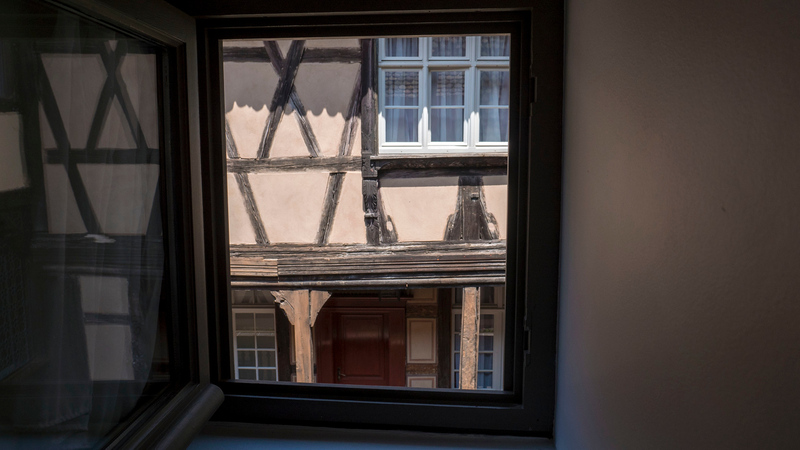 The enchanting qualities of Strasbourg were visible in plain sight right from our window. I felt like I was living in a fairy tale. 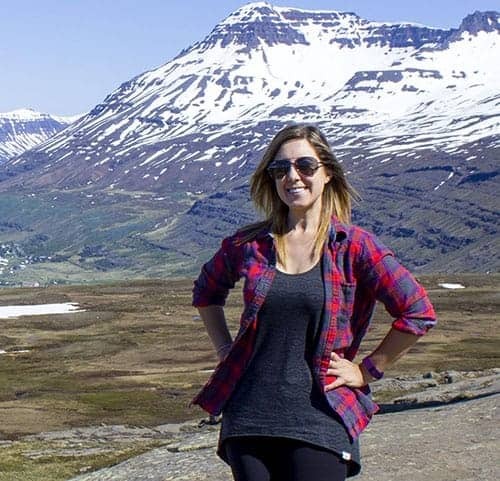 The location could not get any better than this! 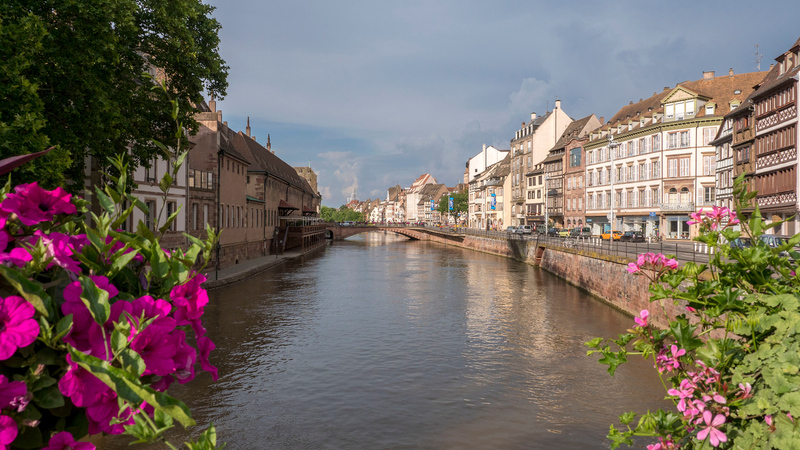 Located right on the river, you can walk to every tourist attraction and explore every nook of Old Town Strasbourg. It’s steps away from the Strasbourg Cathedral, Petite France, restaurants, cafes, shops, and everywhere you want to be. 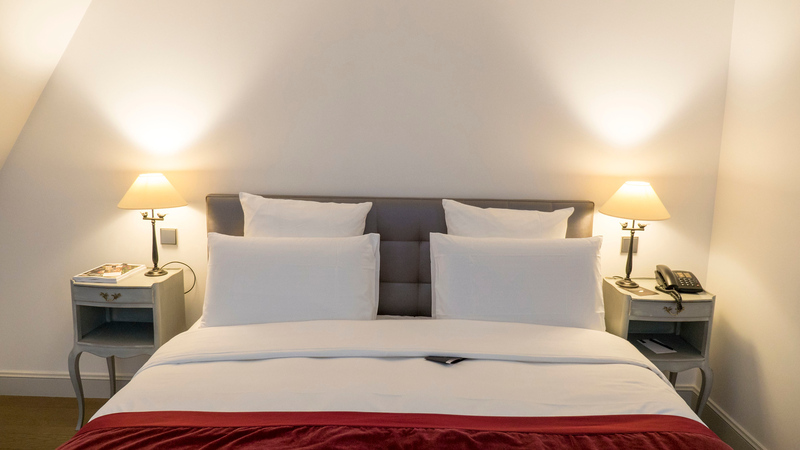 If you’re looking for where to stay in Strasbourg, location should play a huge factor in your accommodation choice. 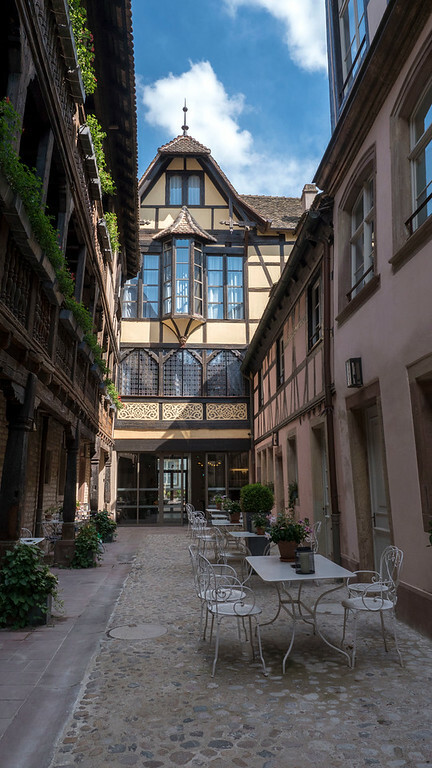 As Strasbourg is such a walkable destination, you need to be in the middle of it all. 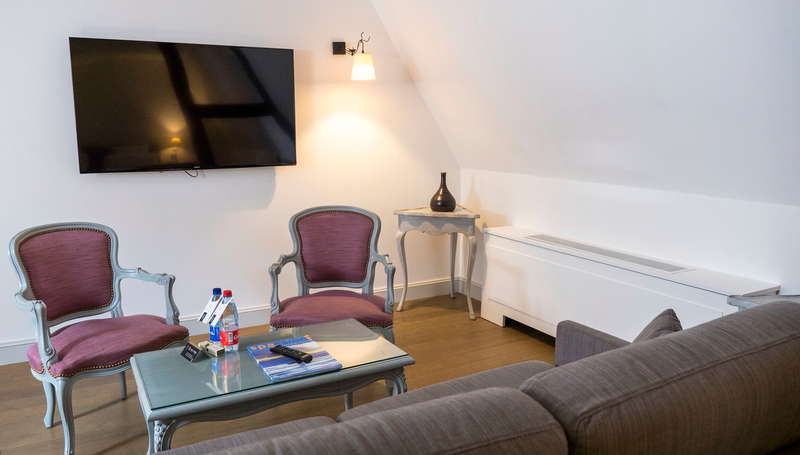 The Hotel Cour du Corbeau is the ultimate choice for location, comfort, history, and style. 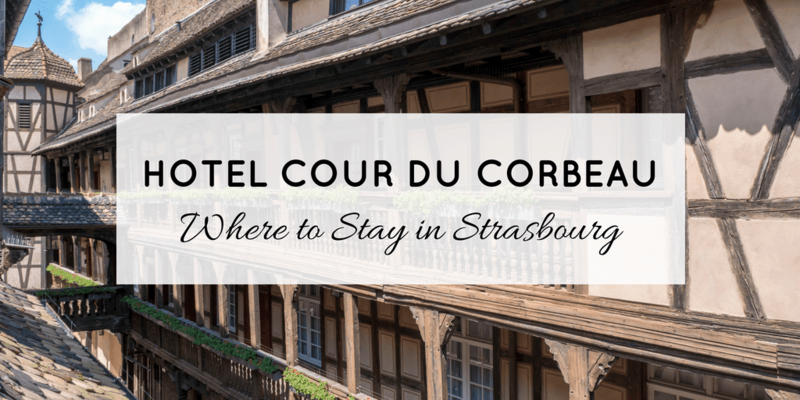 Check out everything we did in Strasbourg with this handy travel guide and itinerary. Halfway across the bridge by the hotel. 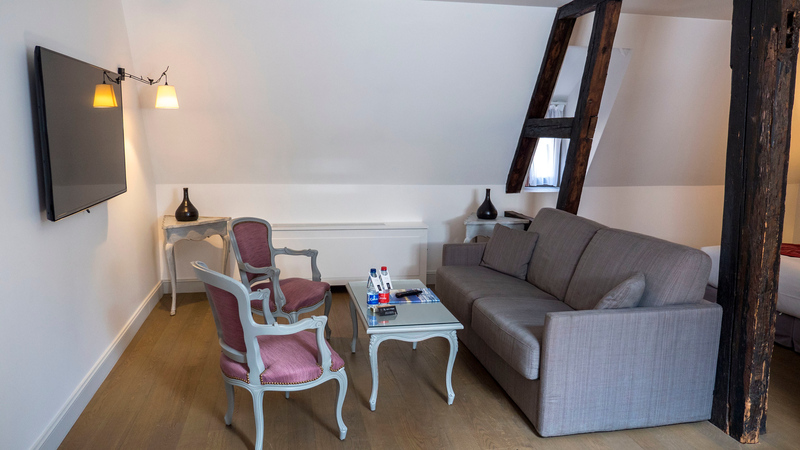 The romantic MGallery Cour du Corbeau extends its tranquility beyond the guest rooms. A cozy sitting room invites you to spend time with your companions or fellow guests, or perhaps you’d like to read a book or complimentary newspaper. There’s a beautiful courtyard with a seating area where you can dine, enjoy a cup of tea, or savour a glass of wine. 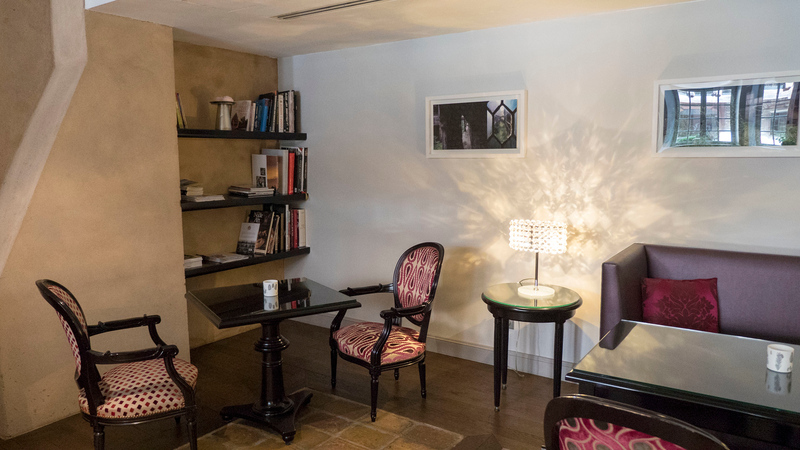 The MGallery Cour du Corbeau has a rich and intriguing history. Back when it opened in 1528, it was a hotel known as Zum Rappen; however, there’s evidence that a hotel existed even before that. It’s interesting that this building started as a hotel, and continued as a hotel throughout the years. Many famous travellers stayed overnight here: the Duke of Bavaria in 1570, German Emperor Joseph II, and the King of Prussia, Frederick the Great. In the 1800s, the hotel became utilized by glass makers, and then a braid maker in the courtyard. It wasn’t until 2006 that the property was redeveloped back into a hotel, reclaiming its former splendor. 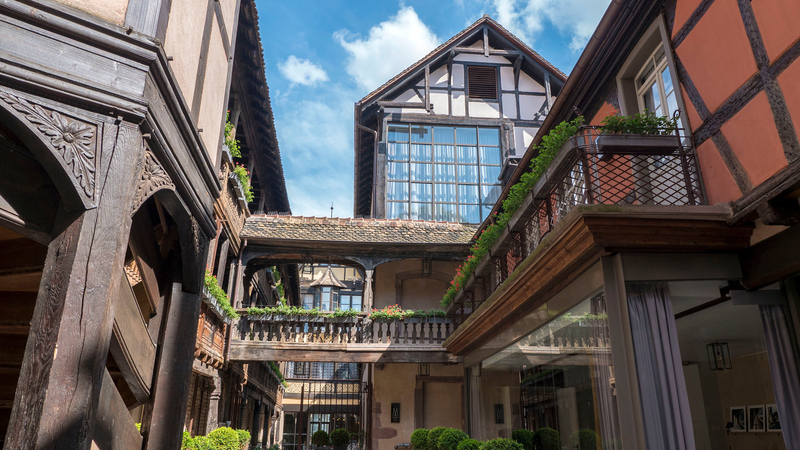 After two years of construction and restoration, the Cour du Corbeau opened its doors and this historic site was alive with activity once again. Upon checkout, we were presented with a small souvenir booklet of postcards depicting how the hotel looked over the years. On the back of the envelope, there’s a list of many famous and important historical figures who stayed at the hotel. At the bottom of the card, it reads, “Et vous…. and you”. 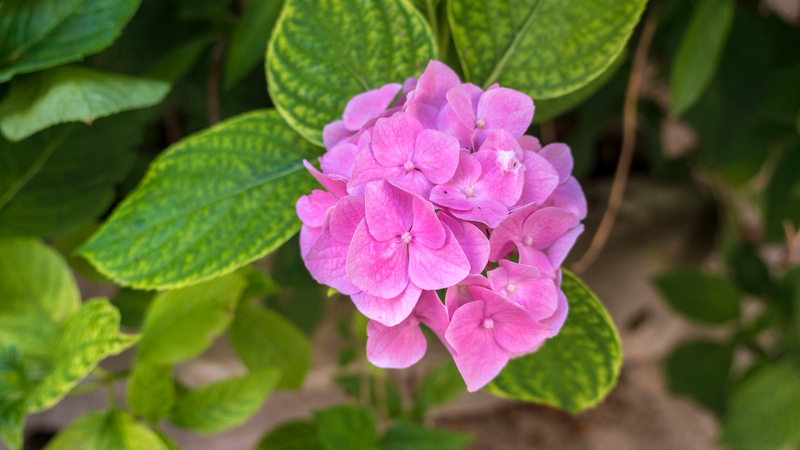 It’s the little touches that make all the difference, and we were very impressed with the quality of service and attention to detail. 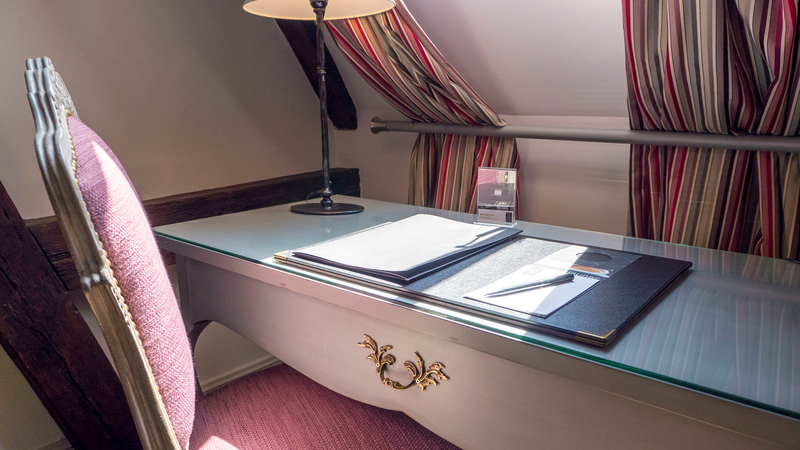 From the perfect location, the intriguing history, and the delightful rooms, we wouldn’t hesitate to stay at the Mgallery Cour du Corbeau again. 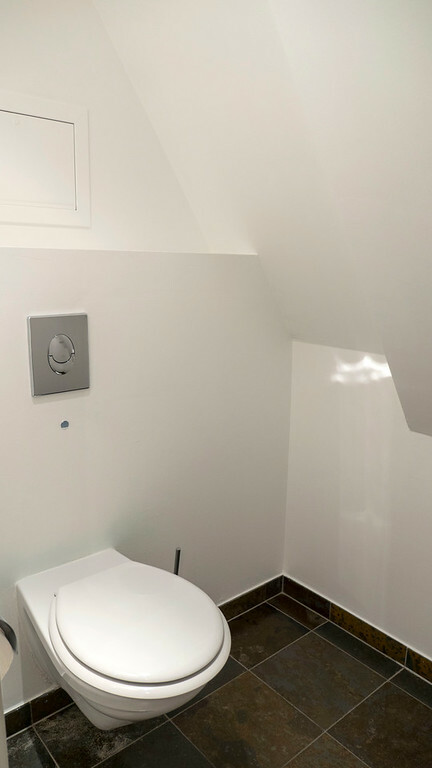 If you’re thinking about where to stay in Strasbourg, definitely book your stay at this elegant, luxury accommodation. 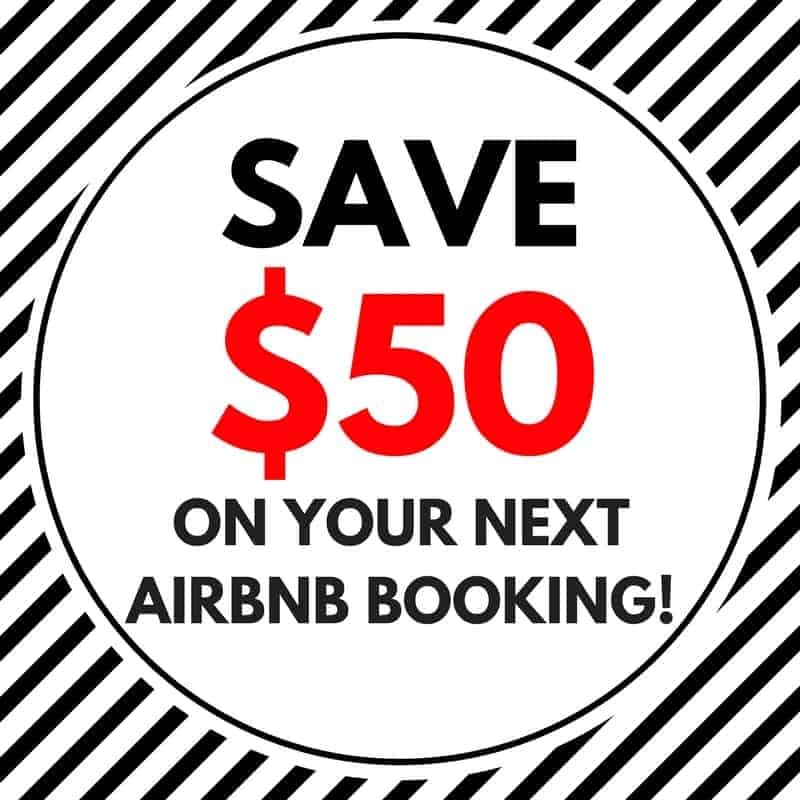 Click here to read reviews by trusted travellers. 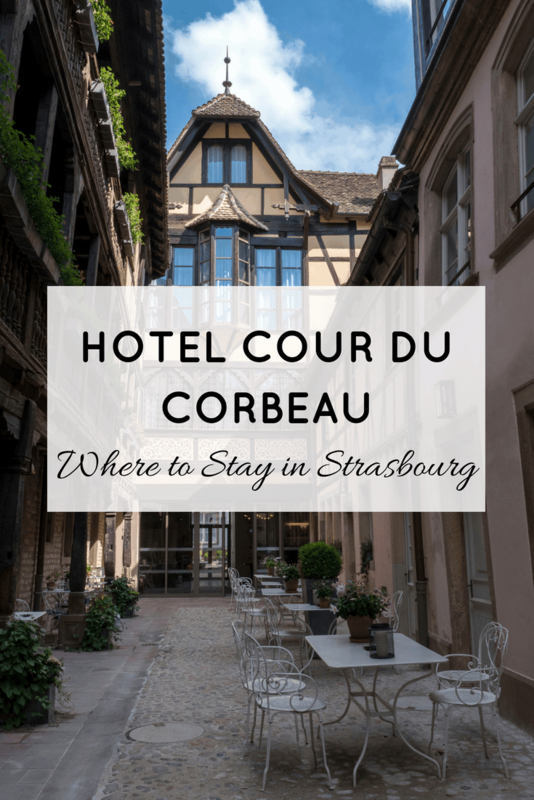 Disclaimer: We were hosted by the Hotel Cour du Corbeau for a portion of our stay. 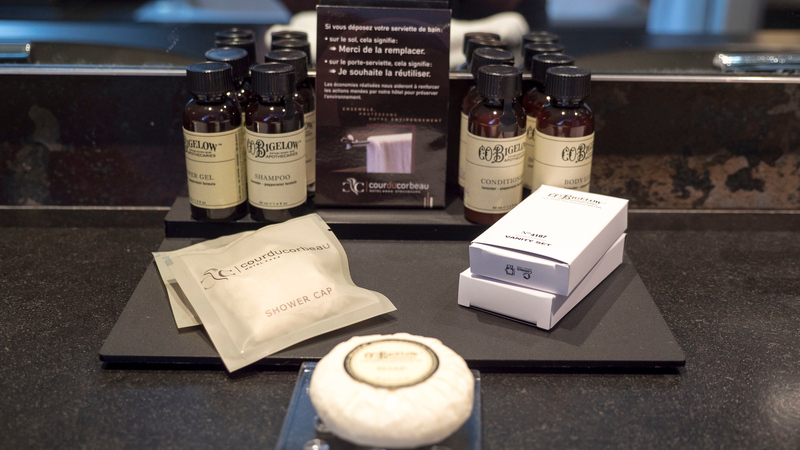 What are the top qualities you look for when staying at a hotel?